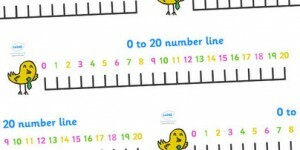 It is very important your child is confident using numbers up to 20- being able to recognise, order and write these numbers. Please practice this with your child- you could write the numbers in flour, with paintbrushes and water, chalks, paints etc. My name is Abby and I help to run a website offering hundreds of free early years and KS1 teaching resources called Early Learning HQ (www.earlylearninghq.org.uk). I can see that you are talking about number lines and I was wondering if you would have a little look at ours and see what you think. We have lots of different themes and they are all designed by me and a small team in Swansea, so it would be nice to share them with some more people! 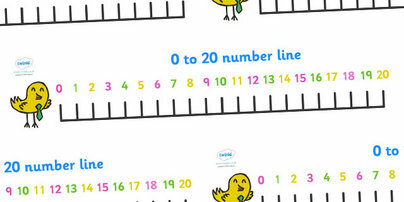 You can have a look at them here: http://www.earlylearninghq.org.uk /numeracy/ numberlines/. If you like our stuff then perhaps you would consider linking to our page so other people can find it as well? If you would like me to make any other resources then please let me know and I’ll see what I can do :). Thank you, the line was very user friendly.